Paul O’Rear, a Program Manager on the Library Experience team, describes the changes to the Microsoft Help Viewer planned for Visual Studio 2010 SP1. He demonstrates the new functionality of the viewer in an early build of Help Viewer 1.1. In the second part of my interview with Doug Rothaus, he describes the new implicit line continuation feature in Visual Basic 2010. Learn about the most common scenarios that no longer require the underscore character (_) in the topic, Statements in Visual Basic. 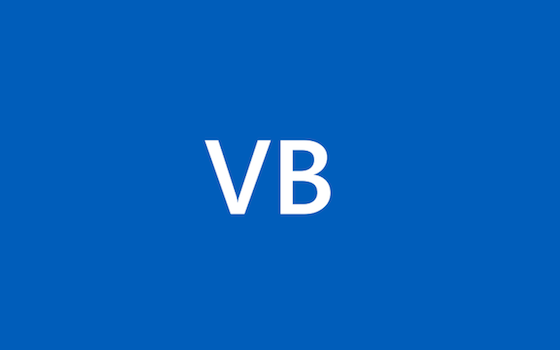 In this interview, Doug Rothaus, a programming writer on the Visual Studio User Education team, describes the auto-implemented properties in Visual Basic 2010. He also demonstrates some of the code examples in his Help topic: Auto-Implemented Properties. See the Video: Auto-Implement Properties. With the release of Visual Studio 2008 SP1, you can now add smart tags to Excel by using an add-in. In this video, I show you how to add them to both a document-level customization and an add-in project. How Do I: Add Smart Tags to Excel Workbooks? The documentation team has just released a survey aimed at gathering feedback on Visual Studio content. Are you dying to tell us what you think about the Visual Studio content in the MSDN library? Please share your perspective by taking part in the Visual Studio Content Survey. I’ve created a screencast that shows you how to create a Windows form in Visual Basic 2005 that you can call from your Visual Basic 6 application using the Microsoft Interop Forms Toolkit 1.0. The screencast is about 6 minutes long. The beta release of Visual Studio Tools for the 2007 Microsoft Office System (VSTO 2005 SE) was announced today. VSTO 2005 SE is a free add-on for Visual Studio (Professional or above) that enables you to create add-ins for the most popular Office 2007 and Office 2003 applications. Have you ever wished that you could have someone show you how to accomplish a programming task instead of having to read through the steps on how to perform the task? Or maybe you just need a little more clarification about where a particular option is located.